Chadwick Bay Marina is now Holiday Harbor at Chadwick Bay. You are welcome to call 716-366-1774 for more information. Check back for updated info. Holiday Harbor Marina on Chautauqua Lake is your Tri State Crownline Boat, NauticStar South Bay Pontoon and Misty Harbor Poonton Preimer Dealership!! 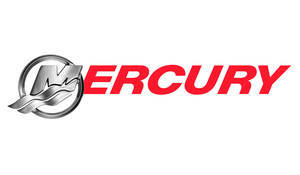 WE are also certified Yamaha and Mercury/Mercruiser. With a full line all showing in Heated Showroom. We are open MONDAY THRU THURSDAY 8:00 AM-6:00 PM, FRIDAY AND SATURDAY 8:00 AM-8:00 PM and SUNDAY 9:00 AM-6:00 PM. Located on Chautauqua Lake in southwestern New York, with 200 full service boat slips. We have been in business since 1946, offering all the services and amenities needed to make your boating experience enjoyable. Including a full service yard with haulout service available up to 40 ton, ship store, showers, restrooms, fuel dock, on site canvas and upholstery shop. Holiday Harbor has inside storage facilities for 450 boats as well as outside storage. We have an extensive brokerage list, ranging from 6 to 60 feet including many desirable wooden classic boats. If a new boat is what you are looking for. Our showroom is open year around for your convenience. Competitive financing is available at Holiday Harbor Marina. We can get your boat to almost any destination port world wide. Call or E-Mail with your questions. Also stop and see one of our sales associates and let us show you all we have to offer at HOLIDAY HARBOR. All New (NEVER IN THE WATER) 2018 Crownline E23. She is stunning with her Amethyst gelcoat. She is fully equipped with all the goodies. She is powered by the all new "purpose built" MerCruiser 6.2L MAG Multi Port Fuel Ejection (300 HP) with the Bravo Three Drive, she'll open up to 55+ MPH. Other goodies interior LED package and upgraded Kicker stereo package with app control and Bluetooth along with transom IPod/volume control. Power fold down aft seating. Pumpout head, with SS sink/facet and corian counter top. Fresh water hand held shower. Berber snap-in flooring. Best in Class Warranty includes a full five year warranty on her engine and drive. Lifetime on her hull/stringer structure and gauges and 5 years on her upholstery, canvas, stainless and gel-cote. Custom tandem axle trailer is included. Manufacture photos shown, more photos to come.